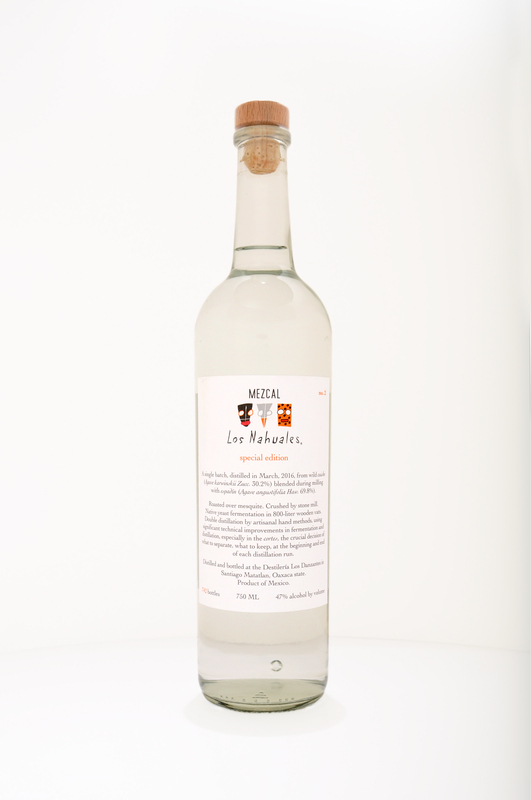 Artisan mezcal from Oaxaca is a world-class spirit, and it comes from the last of the world’s great spirit regions not yet dominated by huge commercial producers. 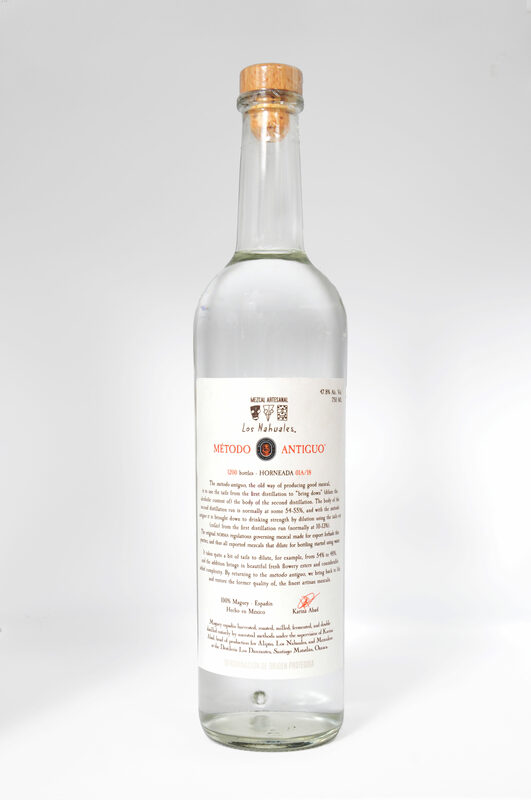 Artisan mezcal is richer and more true to its material than its famous cousin tequila: this because artisan mezcal is distilled including the agave solids and without diluting the fermented distilling material with water (done with tequila to recover more alcohol). 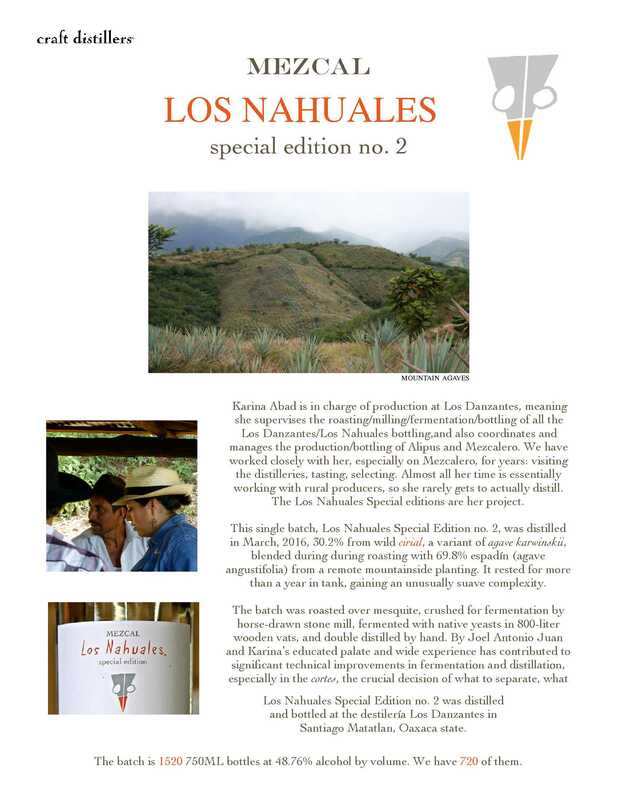 Los Nahuales (Los Danzantes in Mexico) is the brainchild of the Muñoz brothers, producing authentic local products for their fabulous restaurants. 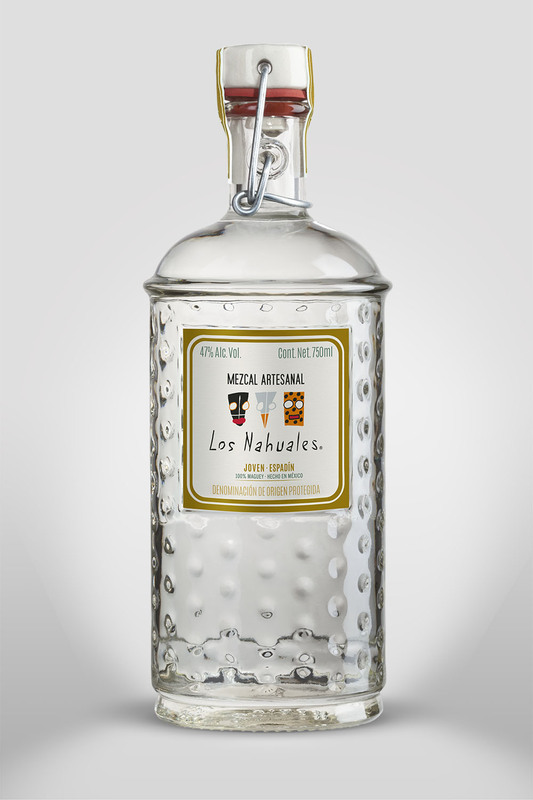 Very very few spirits are so authentically hand-made by ancestral methods. These are extraordinary products. 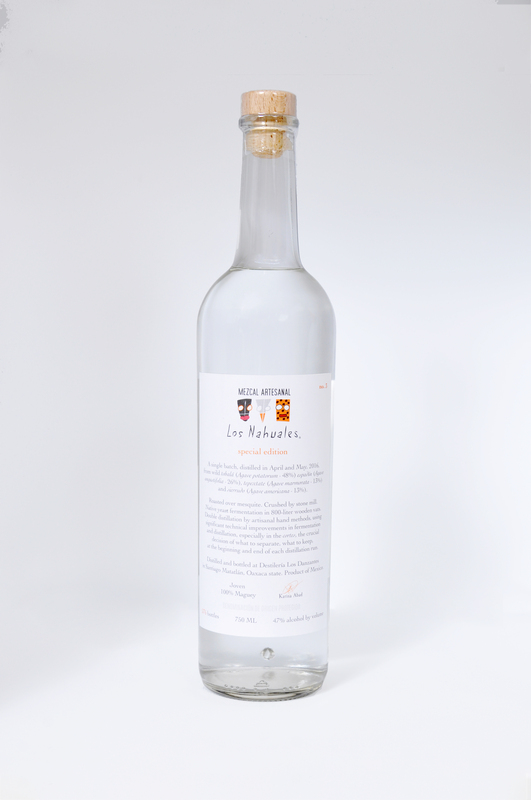 Joven (blanco) diluted to bottling proof using the tails (codas) from the first distillation instead of the usual water. Flower and complex. 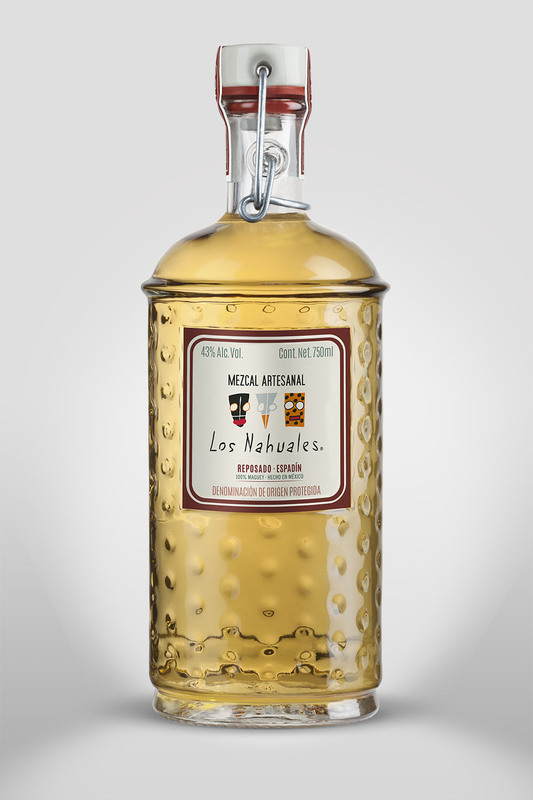 One-time distillation of a blend (at roasting) of wild cirial, a variant of cuishe (agave karwinskii) and espadín from a remote mountainside planting (750ml / 47% abv). 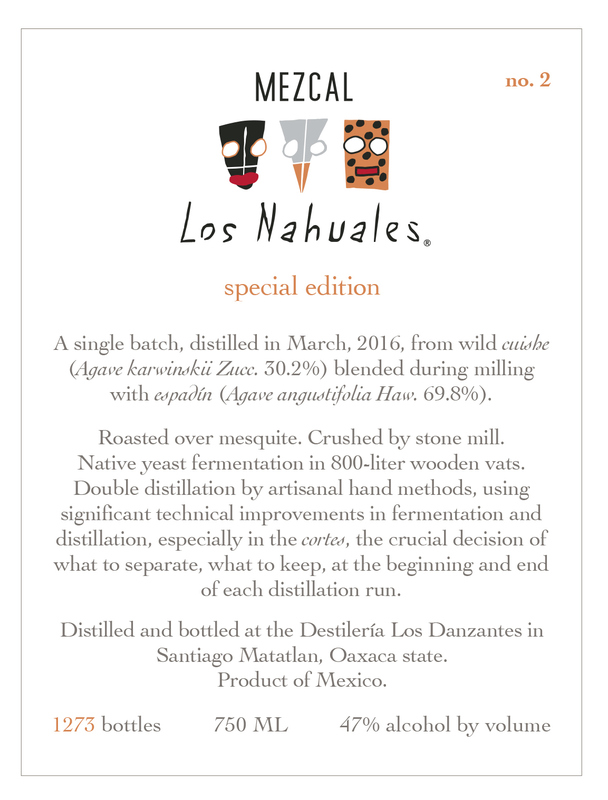 One-time distillation of a blend (at roasting) of wild tobalá, wild tepeztate, espadín from a remote mountainside planting, and the rare (and huge) sierrudo. 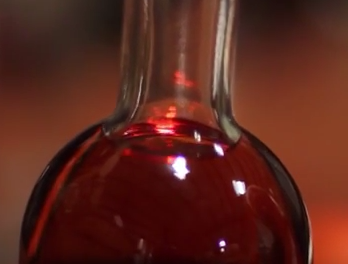 Extraordinary quality. 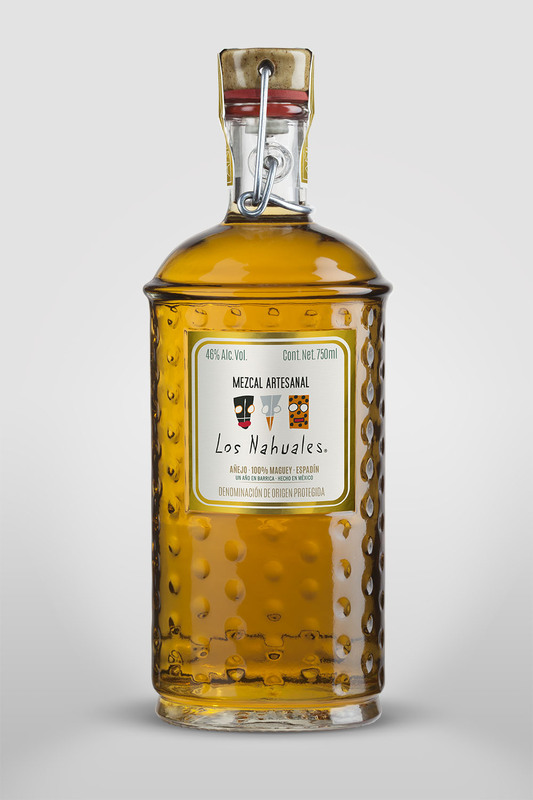 (750ml / 47% abv).